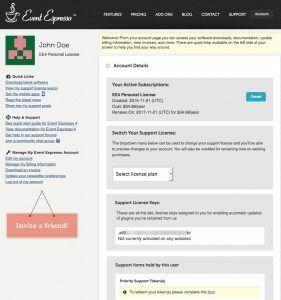 If you log in to your EventEspresso.com account page you’ll notice we made some changes. We’ve simplified the information on the page and made it easier to: view your subscriptions, edit your billing information, locate support license keys, download software plugins, and made it easier to see your support requests and the forum threads you’re subscribing to. We have updated the “Understanding Your Event Espresso Account” page of our documentation, so if you want to learn more about each section of your account page, please check it out. I’ve listed the full spectrum of changes below. We’d also appreciate your feedback, so please feel free to leave a comment below. The blue download bubbles were redundant and all the same info was already available in the download area, so these have been replaced by the account details. 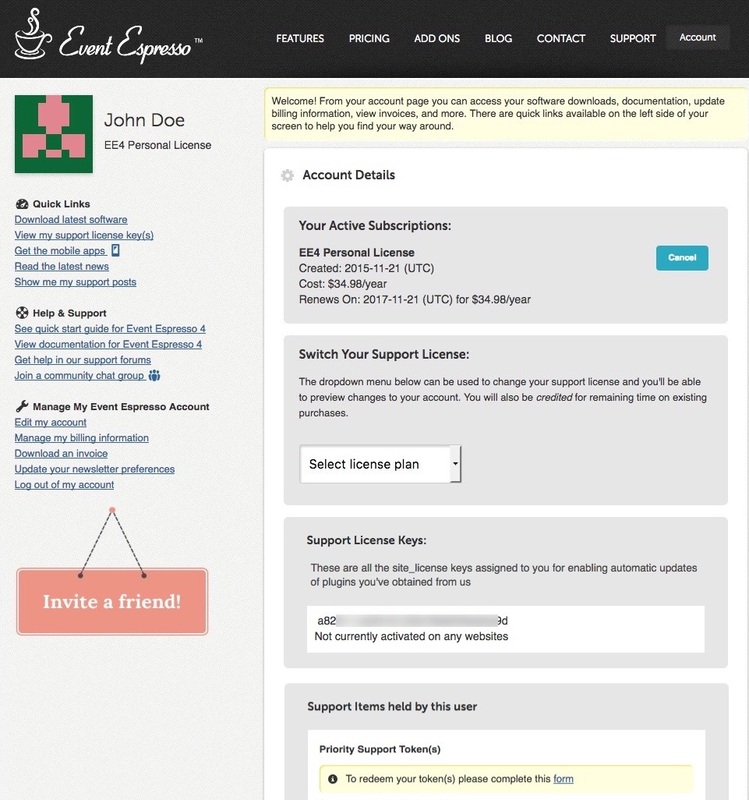 From the account details section you can renew or switch your support license, retrieve support license keys, and more. The notifications section took up a lot of space and couldn’t be dismissed, so we decided to remove this section in favor of the existing blue notification bar at the top of the page. This area will continue to be used for site-wide notifications. We updated the “Quick Links” section to help you find the information you need. Clicking the links in the left menu will take you to the different sections within your account. 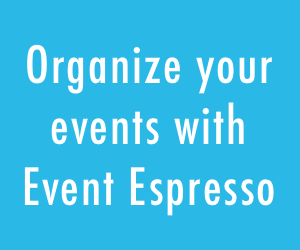 Some links will take you to pages within the Event Espresso website where we can share more information. Below the fold, we’ve add a billing management section, which allows you to update your billing details and download invoices. 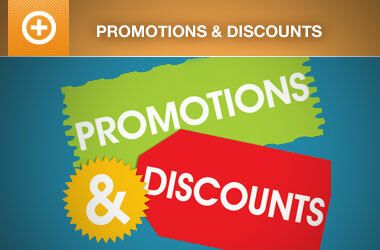 Just below the billing management section, we’ve added a place that displays the latest news from our blog. The forum widgets had no obvious way of how to access the forums, so we’ve added links for faster navigation to these areas of the website. The Downloads section has also been moved up, so you can find your software downloads and related documentation easier. 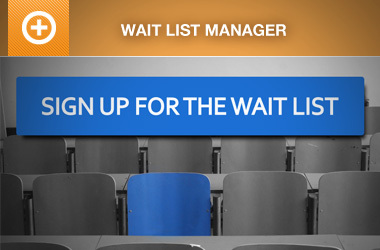 We hope you find these latest updates to your Event Espresso account page pleasing and easier to navigate. If you have any questions or concerns regarding these changes, please let us know in the comments below.